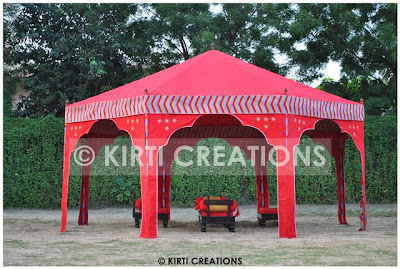 Here, a nicely designed royal handmade tent in vibrant fabric with reinforced posts, excellent boundary and open from every side. It is huge and water resistant. Arranging and dissembling are easy.